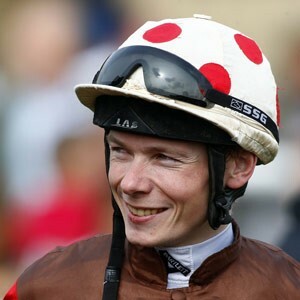 Jamie Spencer is an Irish flat racing jockey who has experienced success both at home and in the Britain, and has been crowned champion jockey in both territories. His trademark style is to hold up a horse, then surge through using their natural speed late in the race. It’s a manner of racing that has made him both exciting to watch and a firm favourite of many racing fans. As is common with many jockeys, Spencer comes from racing. His own father was a successful National Hunt trainer, who went on to win the 1963 Champion Hurdle with Winning Fair. Spencer wasted little time in making a name for himself in the sport too, with a win in the Irish 1000 Guineas at just 17 years of age. The following year be had close to 50 wins under his belt. Successes in Britain soon followed, with a win on Brian Boru in the 2003 St Leger. Moving here in 2005 he became British Flat Racing Champion Jockey that very same year – a nice addition to his Irish flat racing Champion Jockey title which had come a year prior. He picked up the British title again in 2007. Riding for various trainers over the years including Aidan O’Brien, Michael Bell, Kevin Ryan and Paul Cole and Qatar Racing, he has displayed consistent excellence with over 2000 wins over the flat. These include the Investec Oaks-Irish Oaks double (2009), Ascot Gold Cup (2011), the 1000 and 2000 Guineas on Just the Judge and Glory Awaits respectively (2012) and multiples British Champions Day wins. In late 2018, he treated punters at Yarmouth racecourse to a five timer by winning on Terri Rules (9/2), Red Bunting (7/4), Encryption (6/4), Choco Box (evens), and Human Nature (11-4) at the course on the same day. Unfortunately for accumulator fans his one other ride of the day Tripartite was all out of luck!